These include tips for registering, ensuring you claim the Generous Welcome Offers. Football Index is a Trading Platform which is specifically for Football Players only. It operates the same way as a normal stock market, with members able to earn dividend payouts. Signing up couldn’t be easier. Simply register at Football Index and deposit a minimum of £10. From there, you will have access to the trading markets and be able to purchase the player of your choice. New customers can effectively trade risk free for the first 7 days. This is a great promotion, allowing you to learn the ropes, or perform a few higher risk trades knowing that you get any losses refunded. There is no shame in being new to something, you have made a great decision to join Football Index! Here are the questions you may be asking if you have not heard of Football Index before. You can make a profit in various ways. Trading Profit. Buy A player which you believe is undervalued, or will increase in value over time. Then, when the player has increased in price, sell for a profit. Dividend Payouts. You can earn between £0.04-£0.23, depending on your players performance on a specific game day. There are ways that you can lose money, profit isn’t guaranteed. Mistimed trades. A mistimed trade is when you buy a player at the wrong time. For Example, if you purchase a player at the peak of his form, he would be unlikely to rise further and other players may sell, leading to a trade loss. The great thing about Football Index is that you can’t lose your entire stake. With bookmakers, when your bet loses, your money has gone. However, with Football Index, your trades stay active for Three Years, so even if your player is sitting at a loss, there’s plenty of time for him to turn it around. There is a term in the T&C’s that state the bets expire after three years, however you get given plenty of notice and won’t lose out providing you sell up. A Future is another word for a share. For example, if you purchase 1 Future in David Silva, you own 1 share of him. What is The Top 200? The Top 200 IS the top 200 tradeable footballers on Football Index. They are the highest priced players on Football Index. Squad Players are the latest addition to the Index. They have been added to increase competition for dividends, which makes the platform more enjoyable and sometimes frustrating too! 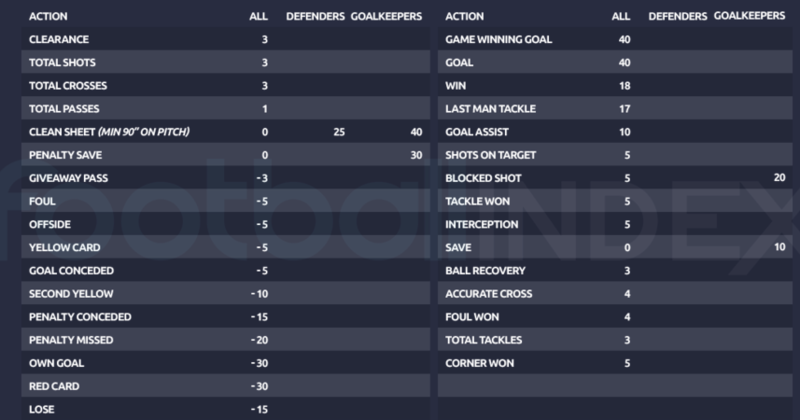 Squad players contain lower value players, potential youth stars & wonderkids. They can compete for Performance Buzz dividends, but aren’t eligible to earn Media Buzz. They range in price, from £0.20-£1.20. What's the difference between the Top 200 & Squad Players? The main difference between the Top 200 & Squad Players is that only players which are sitting in the Top 200 can earn Media Buzz points. Squad players are ineligible for this dividend, however they can still compete for Performance Buzz dividends. This means that the maximum a squad player can earn on any given day is £0.18 per share, compared to £0.23 per share for the Top 200. If a footballer from the Top 200 loses value, he can fall down into the Squad Players list, with a Squad Player then taking his place in the Top 200. This only really affects your lowest valued Top 200 players, as the high valued players will never drop to £1.20, which is around the mark for the Squad Players. 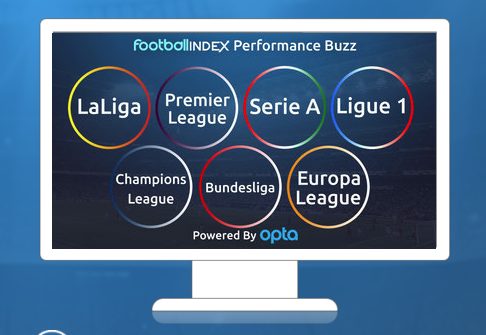 You have signed up for Football Index, but now you are looking at ways to improve your game. Good Work! How is Media Buzz Calculated? Football Index use their own algorithms to ‘score’ articles from the Top Media Publishers in the United Kingdom. On the Media Buzz page, each article is given it’s own score based on the headline. The player with the highest Total Score at the end of the day will receive the Media Buzz dividend. The great news is that it’s at least one player per day that earns this dividend, but sometimes it’s THREE! Who Can Win Media Buzz? Any Footballer which is in the Top 200 can win Media Buzz. Players from the Squad list aren’t eligible for this. However, taking a quick look at my analysis, we can see it’s not a lottery, the same players seem to be earning the Media Buzz dividends consistently. Performance Buzz is an additional dividend introduced by Football Index. This addition allows traders to earn extra dividends, based on their players Performance during a match. 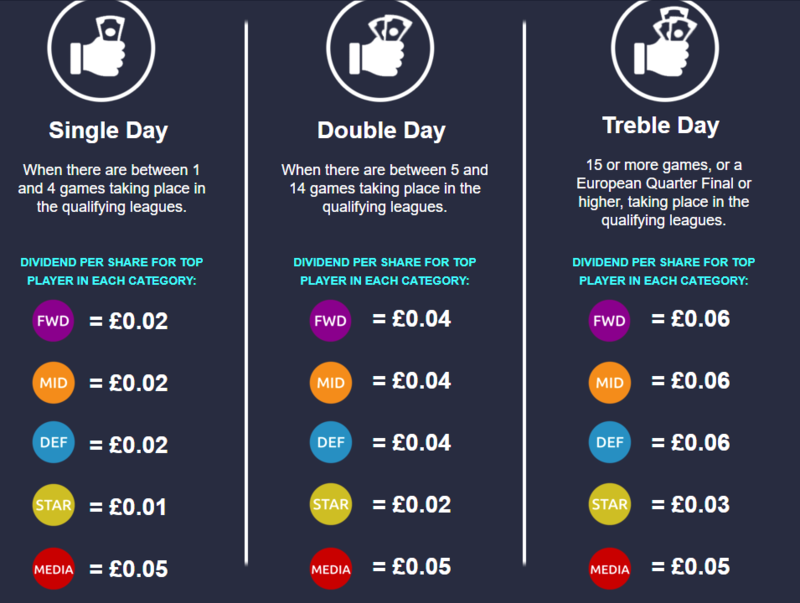 On a Match Day, the best Defender, Midfielder and Forward will be given a dividend payout. Also, the overall Star Player of the day will earn additional dividends, this can be from any playing position. How is Performance Buzz Calculated? What Players/Leagues count towards Performance Buzz? Below is an infographic, supplied by Football Index which addresses this. The ‘Main Leagues’ count towards Performance Buzz. What does Single/Double/Treble Day mean? A Double payout has increased dividends, but there’s between 5-14 games being played. A Treble Day payout is any calendar day with 15+ games being played. Below is the Dividend payout for each day. I won a dividend, how can I redeem it? There is no trouble in redeeming your dividends. You don’t have to fill out a form, or wait for an email. They are automatically credited to you at the end of the day. Remember, you must own a player before the Trading Deadline to qualify for Dividends. Messi has just scored a Hat trick, can I buy him and claim dividends? Unfortunately, you can’t. Unless Barcelona get the 11:00AM kickoff, this won’t be possible as Football Index set a trading deadline, allowing for a dividend ‘cut off’ point. If you want to earn dividends for any player, you need to purchase shares before 14:00PM. You can still purchase after this deadline, the markets don’t ‘close’, however, you won’t be receiving a payout.